As well as catering for those that visit us for our hospitality, we also know that sometimes you will wish to enjoy our food from the comfort of your home. For such occasions, we provide a takeaway service. Takeaway collections over £15.00 is discounted by 15% (T&C Apply). All our food is prepared by our experienced Chefs. We offer free delivery on any orders over £10 within a 3 mile radius. Anything over 3 miles will incur a surcharge. Please note a minimum of 45 minutes is required for deliveries, during busy periods a longer time will be required. 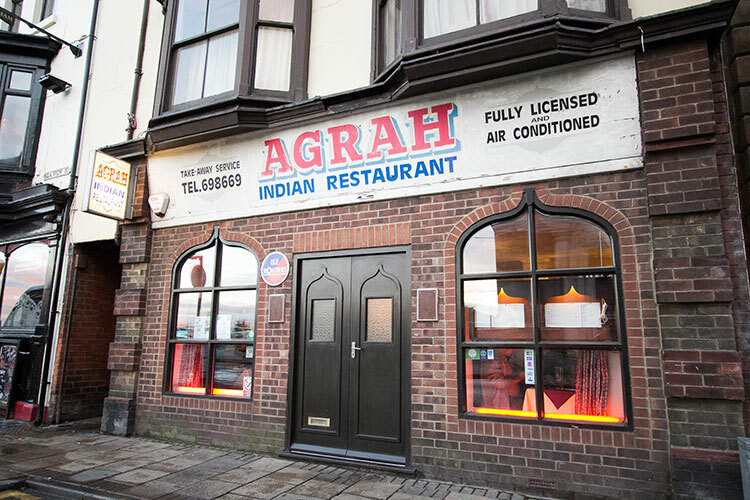 "What can I say, EXCELLENT EXCELLENT, That is excellent food excellent service once again agrah Cleethorpes is I believe the best Indian restaurant in the area We are sat in the restaurant having just eaten poppadoms and a selection of 6 dips myself I had a chicken madras for mains and my wife had king prawns and roster garlic The food was of superb quality and great value and service outstanding and nothing is too much trouble. Once again 5 STARS *****"